For the first time in its 150 year history, Nevada will have a Court of Appeals. This appellate court will reduce the caseload of the overworked Nevada Supreme Court. While appeals are uncommon in divorce, here are three reasons why the new Nevada Court of Appeals benefits every divorce case. The divorce process is extremely important. Not only are assets and debts divided, but child custody and support are determined. The terms of your divorce create a blueprint for your life after marriage. It needs to be done right the first time. 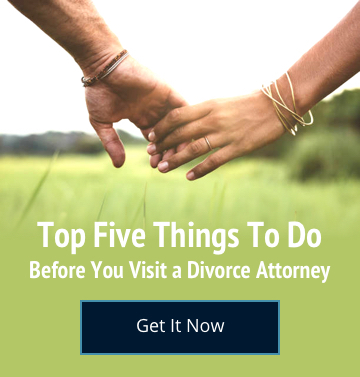 Although uncommon, it is possible to appeal the final Divorce Decree. This can happen if there was in error in how the Judge applied the law in the case, there was substantial fraud committed by the other party, or new facts are discovered after the case has ended. While you may never need to appeal a case, it is important to know the right exists and be able to use it. The appeals process can be long and time consuming. If you are trying to overturn a child custody order or other time sensitive issue, anything that delays the process makes it more difficult. While you have the legal right to appeal your divorce, an overburdened Supreme Court makes that right harder to get in a timely manner. Your day in court may be too far away to matter. Without the Appellate Court, every case appealed from any of the nearly 100 district courts in Nevada got in the same line to be heard by the State Supreme Court. Now it is estimated that approximately one-third of all appeals will be heard by the Court of Appeals. This means the line is shorter and more cases can be heard sooner. With the Appellate Court in place, Nevadans now enjoy the same greater access to the appeals process as residents in neighboring states. The state also finally catches up with California which created its court of appeals 110 years ago. Have questions about divorce in Southern Nevada? Then call us at to speak with a Las Vegas divorce attorney today.